Nestled in the Northern area of the Okanagan Region you will find Mabel Lake. This lake is by far one of the most productive fisheries in all of the Okanagan. 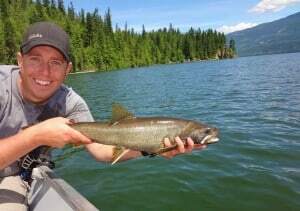 Mabel Lake is home to numerous types of sport fish including Rainbow Trout, Kokanee, Chinook salmon, and Lake Trout! 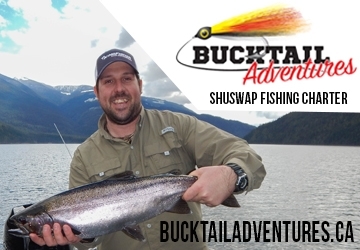 Throughout the summer months most anglers target Chinook salmon, however the spring period should not be overlooked as this lake offers incredible Lake Trout fishing opportunity! After large salmon runs, especially sockeye, there is an abundant of fry coming out of the rivers into the lake. These fry make for great forage for Rainbow and Lake Trout. Lake Trout in Mabel Lake can easily reach well into the double digits as they indulge themselves with fry. On the off salmon run years the fish may be a bit more on the slender side but that doesn’t stop their appetite to chase a well presented lure! 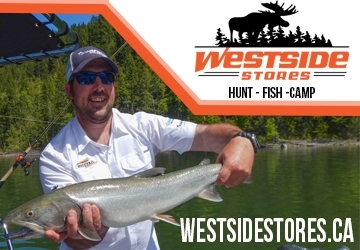 Mabel Lake has many drop off ledges that lead to deep pockets in the lake which is ideal conditions for Lake Trout. There is no one particular hot spot on this lake that you will find these Lakers holding, as they are located all throughout this water body. The south end and north end of the lake where the rivers flow in tend to hold more Lake Trout than the mid section. 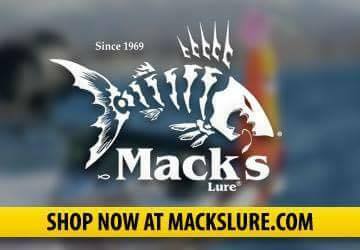 To locate these fish paying close attention to your sonar will pay off. 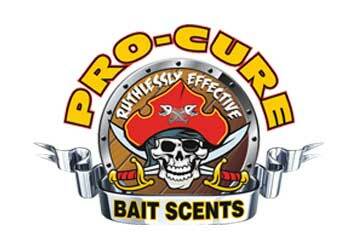 While trolling, try locating large bait balls or clusters of smaller fish. The Lake Trout tend to position themselves around 10 feet below this forage while they are actively feeding. Also watch for drop offs and humps along the lake bottom as the fish will position themselves in these areas. Trolling with downriggers is the primary method, however jigging Buzz Bombs can also produce well if the fish are active and up for a chase. Mimicking salmon fry or Kokanee by using Lyman Plugs, Apex’s or Spoons is the ideal presentation for these fish. Some days the fish will want smaller 2 to 3 inch lures and other days they will want a larger presentation like a 4 to 6 inch lure. As the water clarity starts to fade due to run off using larger lures and darker colours will pay off as the fish can make out the contrast. Using a “dummy flasher” on your downrigger will also help the fish locate your presentation during low visibility periods. Optimum trolling speed is between 1.5mph to 2.0mph. Sometimes while trolling you will see a large fish on your sonar following your presentation but won’t commit, if this happens, pop the line off the rigger and slowly retrieve your lure. 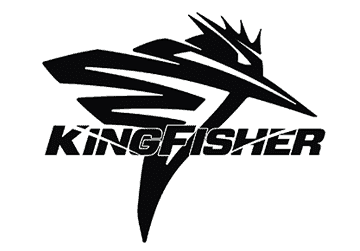 The fish will sometimes think that its prey is trying to get away and it will chase it then clobber it! While fishing for Lake Trout on Mabel Lake most of the time you will find yourself fishing deeper than 75 feet. When hooking into one of these big beauts remember to bring it up slowly to allow it time to adjust to the pressure difference. If the fish comes up too fast it will blow up like a balloon and the mortality rate is highly increased. Allow the fish time to “burp” and adjust to the pressure difference; similar to a diver ascending from deep water and avoiding the bends. Lake Trout don’t make the best table fare and most anglers prefer the sport of pursing these fish and then releasing safely after a good fight. 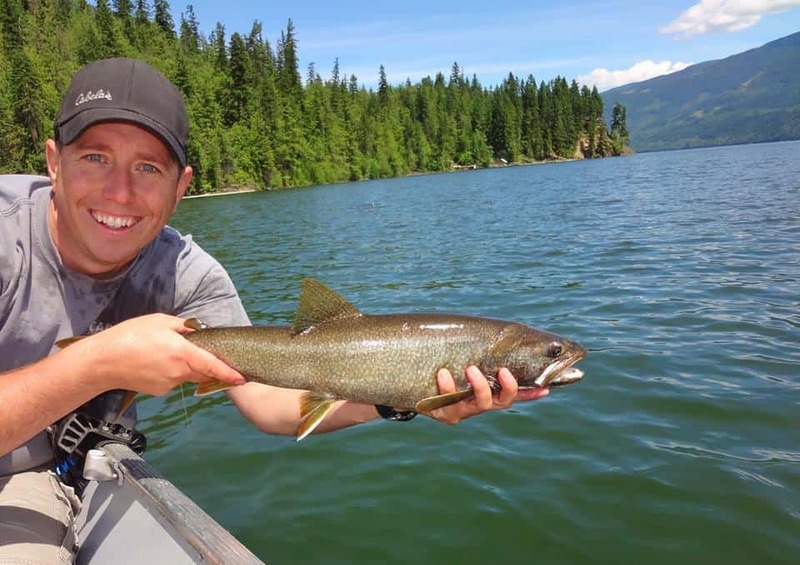 Mabel Lake is a fantastic fishery and a piece of BC Paradise that can be enjoyed by the entire family! The lake is equipped with numerous campsites and boat launches. There are 2 main launches, one is located at the Enderby side at Kingfisher and the other on the Lumby side at the Mabel Lake Provincial Campground. Both boat launches are in excellent condition. 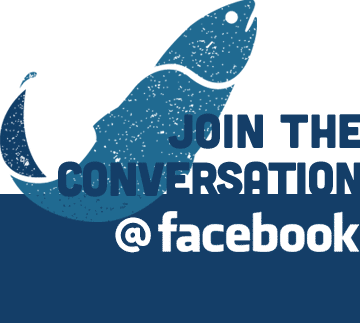 For more information about fishing Mabel Lake please feel free to contact us by commenting below and don’t forget to check out our BC Fishn’ Facebook page!